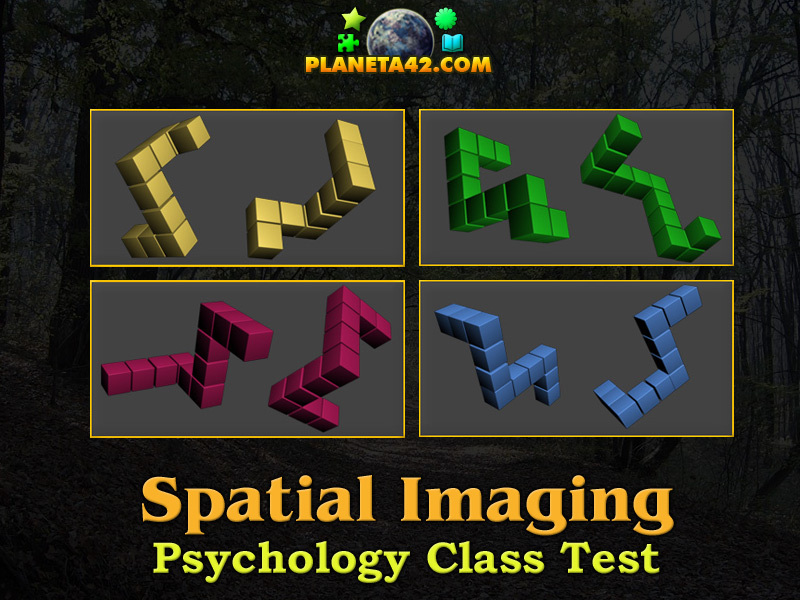 "Spatial Imaging" is a free online psychology visual test for desktop computers, laptops and tablets, which may be played in the web browser. Solve the famous riddle. The Psychology Knowledge Board include 9 movable lines to connnect the four dots. What does to "think outside of the box" means? How to play Spatial Imaging. This riddle is given by the examiner with a pencil and a sheet. He draws 4 dots in a square formation and ask the student to connect all of them them with 3 straight lines without picking up the pencil and the last line to finish where the first line begun. So there are the four dots to the right and there are 9 possible lines to drag and drop them and connect the dots. To remove a wrong placed line just click on it. Visual test. Know to solve this popular riddle. Class subject: Dynamics of Imagination. The activity of the imagination sets the occurrence of creative attitudes. This suggests updating certain needs and aspirations they be materialized. Imagination is an universal capability that provides subjectivation of the objective and vice versa. Through the act of imagination new, non-existent object forms are created. Imagination arises in historically established activities and serve these types of activities. It is a form of expression of the creative. The Shepard's methodology of three-dimensional figures explores an important quality of spatial imaging - its dynamics, i.e. possibility to arbitrarily vary the spatial arrangement of the figures. This operation with the image of the object is particularly characteristic of spatial imagination - property of great importance in technical thinking. The methodology of Shepherd comparison between the two bodies of each pair is impossible, if not performed mentally displacement and / or rotation of either of the figures. 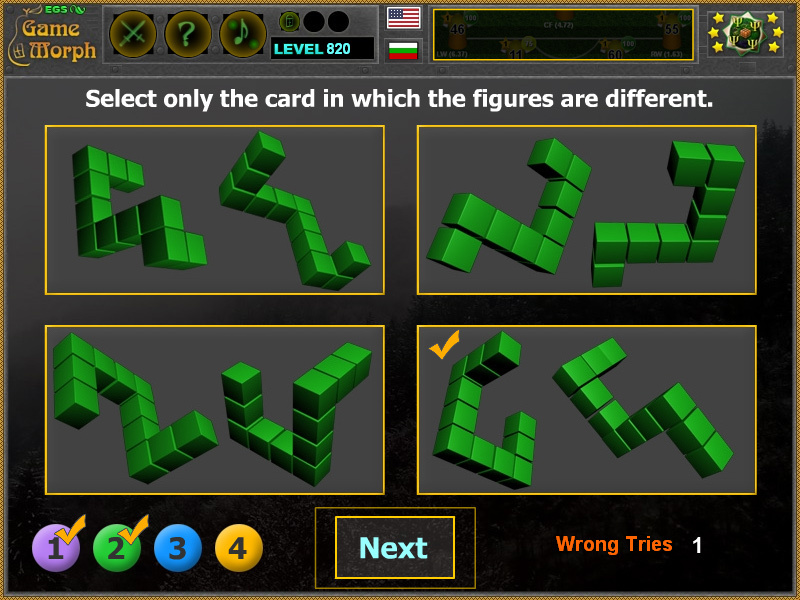 Labels: Psychology Visual Test , Online Test , Flash Games , Psychology Games , Education Games , School Games.